From small corporate events to big festivals with a single extendable system. Link racks to each other via redundant links. Thanks to the 10 to 40Gbps backbone, you will never fall in shortage of bandwidth. 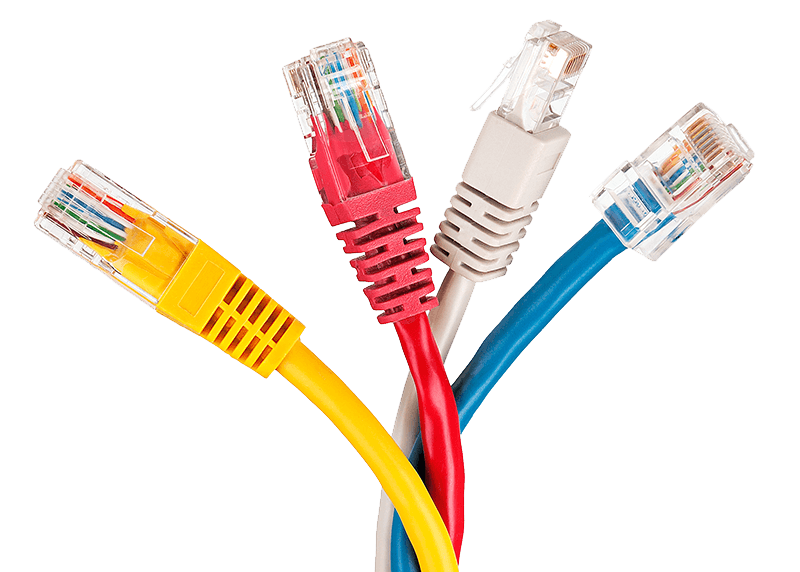 Easily add I/O interfaces thanks to te POE+ enabled ports. A system that does everything for you. The system automatically generates IP-addresses for all your devices, clock sync between dante, madi, video… Every element is centrally managed which enables you to effortlessly add or remove modules. Simply use your tablet to control all your devices (your gear). It gives you the possibility to run your entire light show using a dedicated network. No more need to put a router in every mixing table. Just connect your gear to the right network and monitor all your AV-devices centrally. 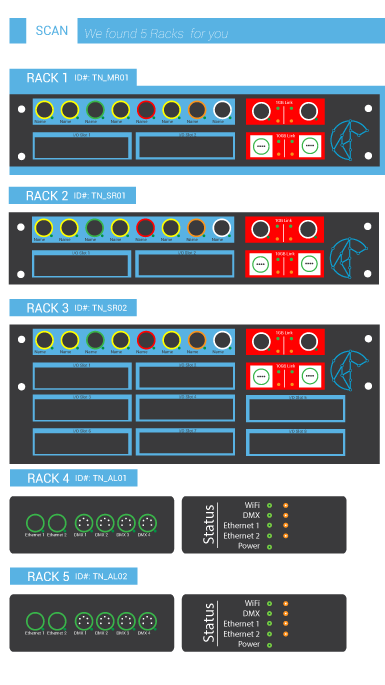 Thanks to our range of I/O modules your can effortlessly create your box to your specific needs. Our 2U module offers 2 I/O slots, the 3U box offers 5 I/O slots. A wide range of slots are available like line inputs, mic inputs, DMX, 4K video, wifi and many more. Adding TymNet tou your system is a matter of pluging in a device. 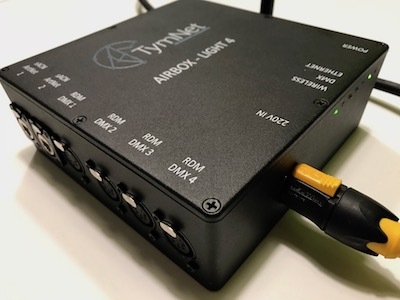 With TymNet AV network you will save valuable time on your built up. Just one cable between your front of house and stage. Need a 3rd location? Just add a rack to the system and your all set. TymNet offers a wide range of I/O's. Stil not what you are looking for? Need a I/O that we do not have in oure pool? We'll be happy to design together with your custom I/O unit that refelects your need. 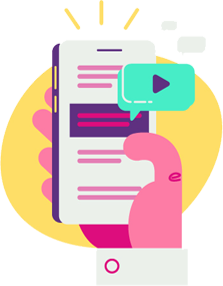 The WiFi used in our system automaticly scans the envirement to acheave a super reliable connection that lets you do things you never could befor. Streaming ArtNet, video between devices is now possible. We offer standard 2 10Gbps ports ons every rack. This lets you stream up to 20 Gbps over a sigle fiber optic cable. Need more? Racks can be upgrated up to 8 10Gbps ports. Thanks to the fiber uplink you will never run out of bandwidth. Thanks to the 10Gbps redeundant uplink steam video and audio without limit. Still not enought? Racks can be upgraded to 80Gbps or 40Gbs full redundant. 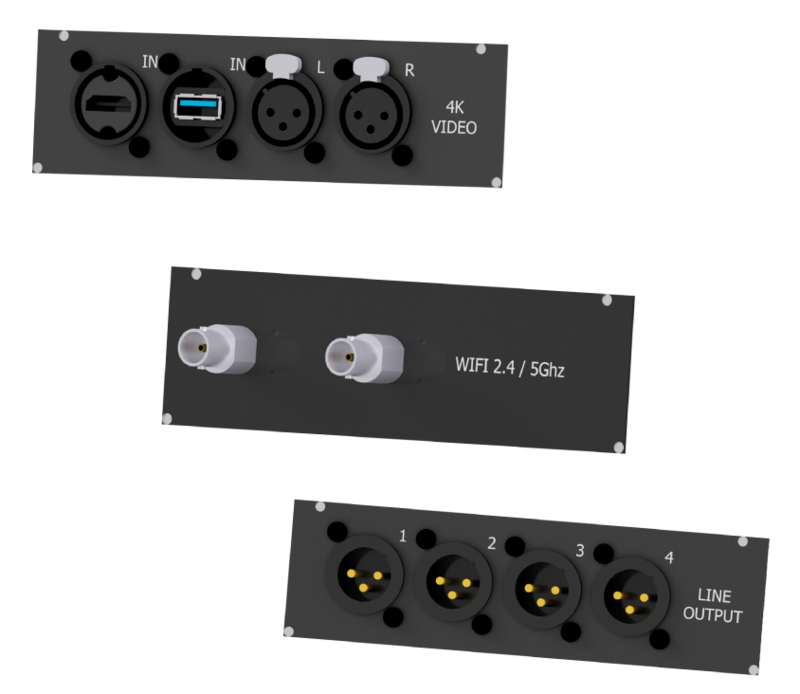 Connect your favorit mixing desk, stage block, lightning desk... to the system. You have controle over al your devices en you just got rid of all the unnecessary cables. Demo racks are always available for tests. Feel free to give us a call and ask for our demo. We offer both sales and rental solutions. This way you can easily add racks to your set up without the cost of a new product. How many racks can I link? There is no limit to the amout of racks that can be linked to each other. For bigger setups pleass contact us to see what would be the best configuration for your needs. Do I need to know anything about networks? No, thanks to the stadard set-up you can send audio, video, light and intercom via the system. For more complex setups the simple user interface lets you chose the output per port via a drop down menu. All the rest is done automaticly.